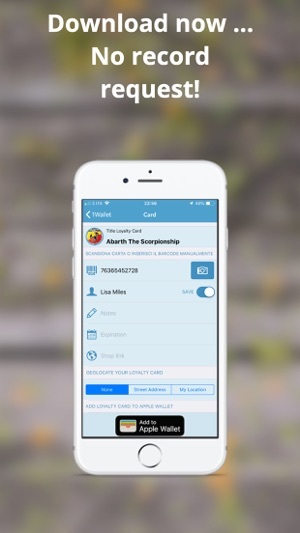 1Wallet allows you to free space from your wallet by converting your paper loyalty cards and tickets to brand new digital loyalty cards compatible with Apple Wallet® for your iPhone®, iPod touch® and Apple Watch®. PRIVACY: None of your personal data will be saved on our servers, the only data required for the creation of the card is transmitted in encrypted mode (HTTPS). 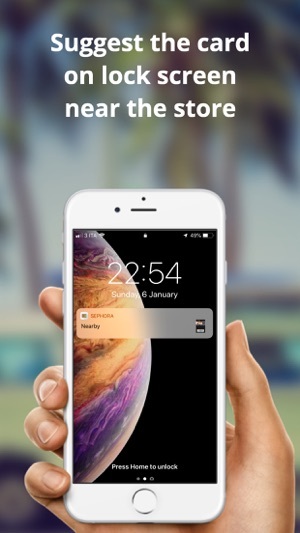 Exploit the potentialities of your Apple Wallet® - you don’t even have to look for the card in your iPhone® or Apple Watch® since it is available in screen lock when you are in the vicinity of the shop. No in-App purchase and no registration required. You can save as many cards as you wish and they will be available for all devices thanks to iCloud®. Although the passes have been tested on multiple optical readers it is not guarantee complete compatibility for this reason the barcode is shown in clear both the front and the back of the card to notify your store owner. For owners of Apple Watch: currently the linear barcodes will be transformed into QRCode. IMPORTANT NOTE: Do not look at the loyalty cards of the stores in your city? 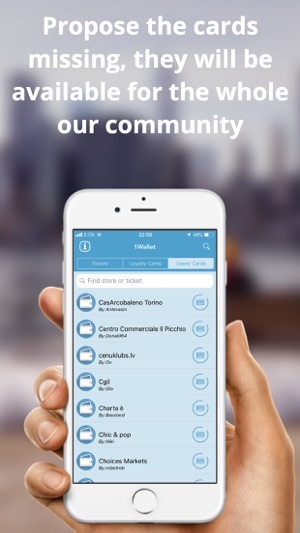 No problem, you can create paperback loyalty cards/tickets in app directly, which will be posted in the "Users' Cards" section and made available to our entire community. We will use your email address only to inform you about the insertion of the proposed cards. The list of loyalty cards is therefore continually updated thanks to you and your fantasy. Customers created tiles will follow a short review of our staff. PLEASE NOTICE: iOS11 or superior required. 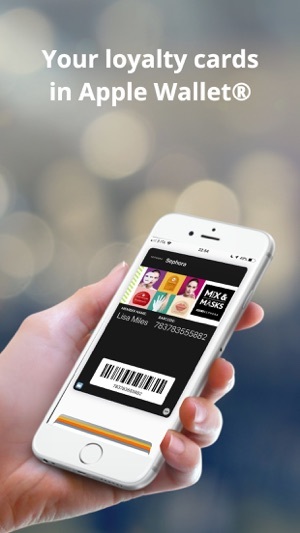 Apple Wallet® is the pre-installed Apple’s app on iPhone®, iPod Touch® and Apple Watch® where you will find the loyalty cards converted by 1Wallet. Lots of useless animations just waste battery/cpu. Converted the gym card I always lost into a digital one. Simple and easy since it already had a template I was done in 2 minutes.